We are not into quantity of weddings but quality. We prefer to boast about how few weddings we take on per month, ensuring you get a wedding planner who is dedicated to you. Whilst we ensure planning your wedding in Thailand is fun, we take our role as wedding planner for your big day seriously. We limit the number of clients we take on so we can deliver the service you deserve and expect. You can take a look at our client portfolio to see some of the personal touches we deliver. 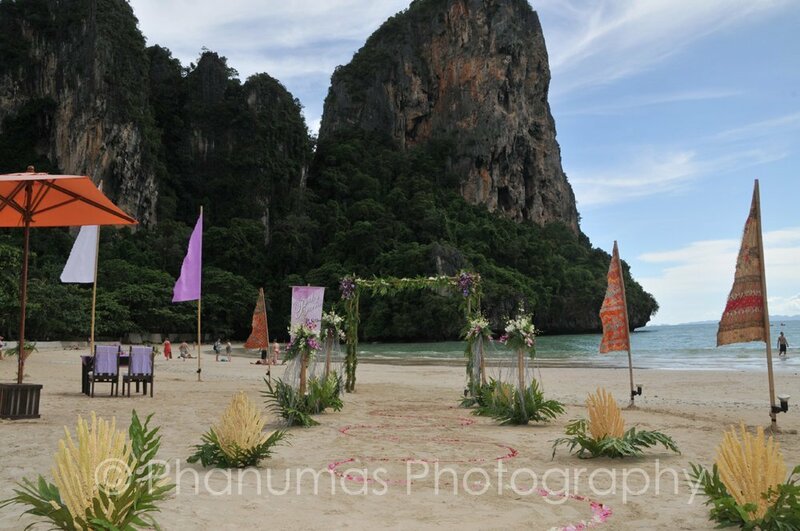 Thailand is growing in popularity as a wedding destination, probably because of it’s laid back vibe, fabulous food, uner friendly people and most importantly – those beaches!! Like planning any wedding, knowing where to start is your first hurdle. So you start with tons of enthusiasm Googling wedding venues in Thailand and checking out feedback in TripAdvisor. will possibly be your most daunting task. This is when brides and grooms to be start getting in touch. Why? Because there are SO many choices, you start to get overwhelmed and TripAdvisor is a great resource for putting your mind at peace, but how do you know if the ‘poster’ shares the same ideals as you do which make up your perfect wedding day? will possibly be your most daunting task. This is when brides and grooms to be start getting in touch. Why? Because there are SO many choices, you start to get overwhelmed and TripAdvisor is a great resource for putting your mind at peace, but how do you know if the ‘poster’ shares the same ideals as you do which make up your perfect wedding day?